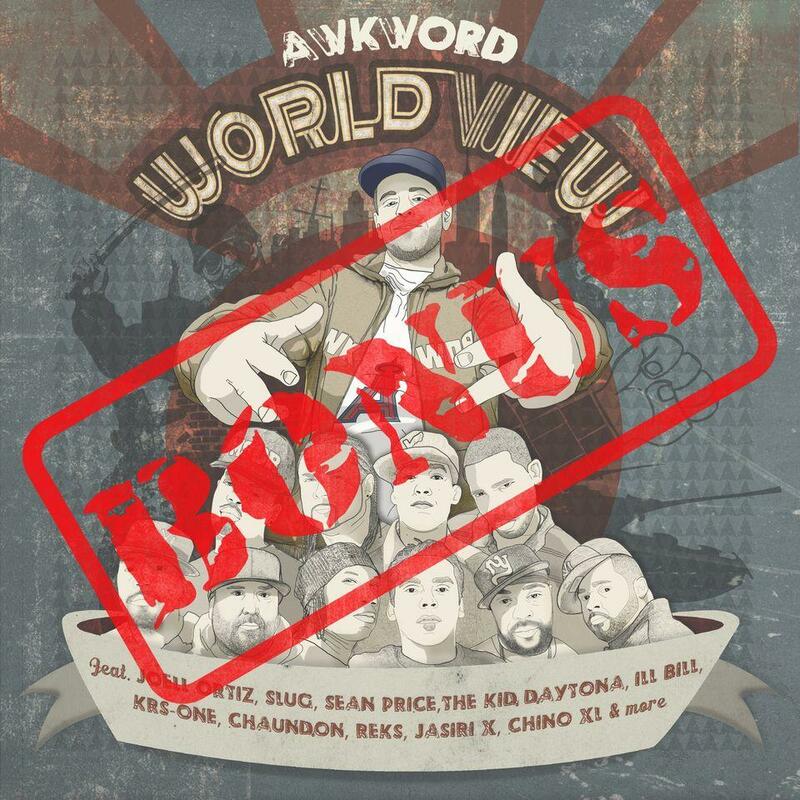 Stream and/or download AWKWORD's "World View" bonus disc. It's for a very good cause. 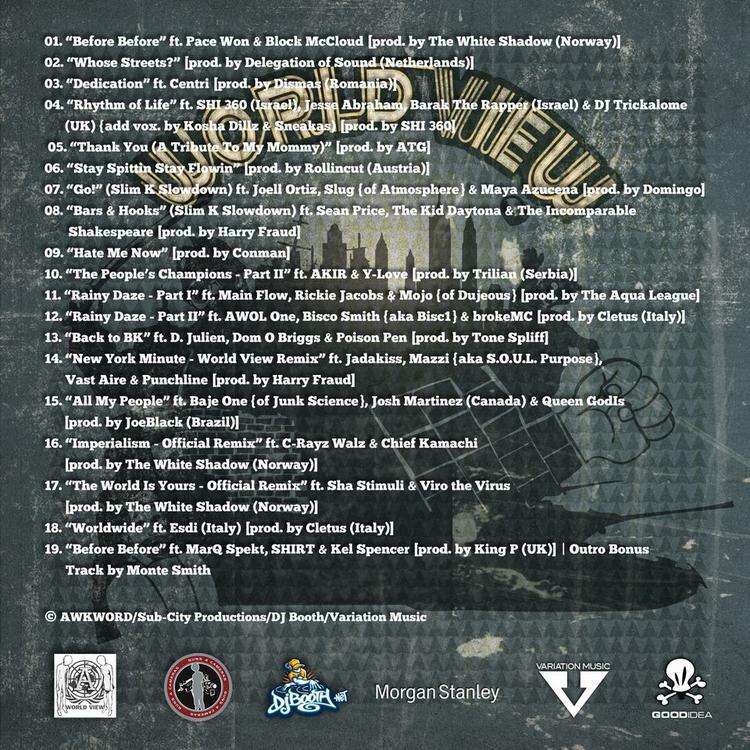 New York City emcee/activist Awkword presents the World View Bonus Disc, World View being his recent 100% for-charity global hip-hop compilation, which you can and should cop here. "World View is the first-ever 100% for-charity global hip-hop project, featuring contributions from every continent and eighteen countries, showcasing our interconnectedness created through Hip-Hop culture and rap music. All proceeds from World View are being donated to Guns 4 Cameras, a 501c3 nonprofit that goes beyond the gun exchange, working to eradicate street violence through Hip-Hop-inspired education and empowerment of the youth in our communities." The bonus disc is a result of the World View recording sessions. It includes guest appearances from AWOL One, C-Rayz Walz, Dom O Briggs, Jadakiss, Joell Ortiz, Josh Martinez, Pace Won, Poison Pen, Punchline, Rickie Jacobs, Sean Price, The Kid Daytona, The Incomparable Shakespeare, Vast Aire and more, and was soundtracked by an array of producers from four continents and eleven countries. Read more here.